More experimentation with limited pallet colors. However, please do not copy or download. Thank you. I am currently working in bottled acrylics on Epson WC paper. The acrylic paint loves this paper and the two sort of wed each other and become one. It is kind of neat actually. I have been using burnt umber, cerulean blue, cad red light and violet mixed with each other and white as needed. 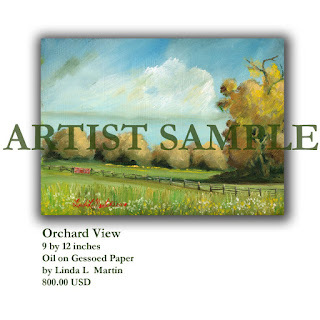 As in the small format painting "Early Morning" . Later this week added yellow ocher and cad red medium hue as a highlight. I only added small amounts at first because the greens became so loud. I hope you enjoy these. 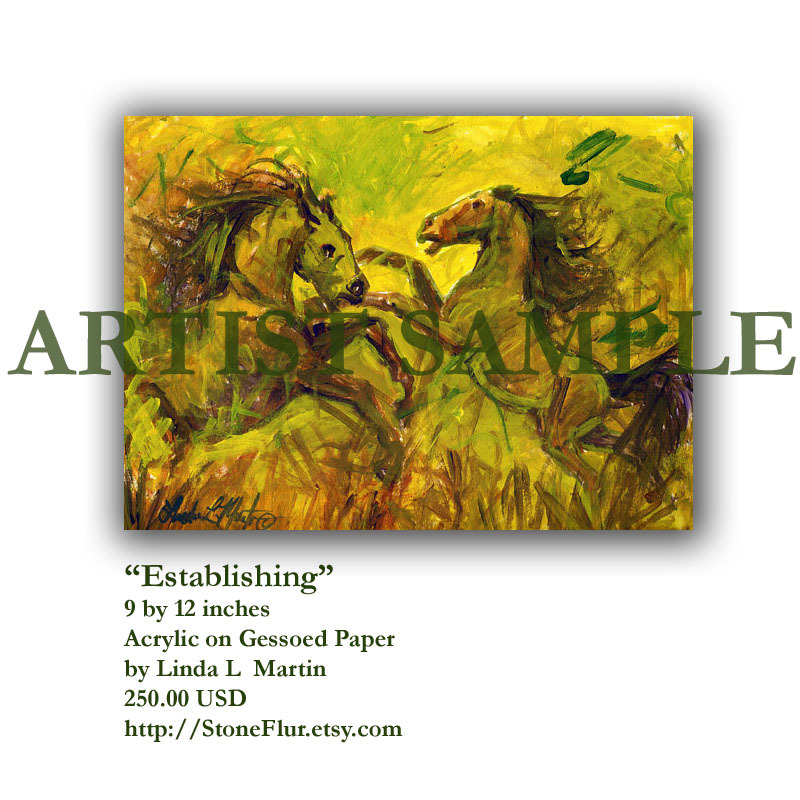 These you can see in the small format painting "Revitalize". I tend to be very bold in my use of colors and more primary. Lots of Bright greens, blues, reds, yellows, browns... earthy greens but I am currently working on changing that. Mostly to give me a fresh look at my work but also because people seem to like the colors better. The first results of the experiment are actually surprisingly nice. 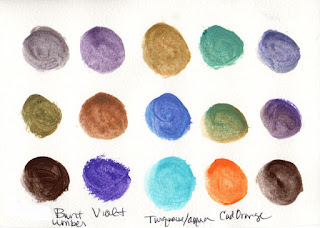 The first thing I did was limit myself to 4 colors Aqua(turquoise), Cad Orange, Burnt Umber, and Violet plus white.There are a lot of colors that can result. It really surprised me. And was a challenge for my sensibilities. 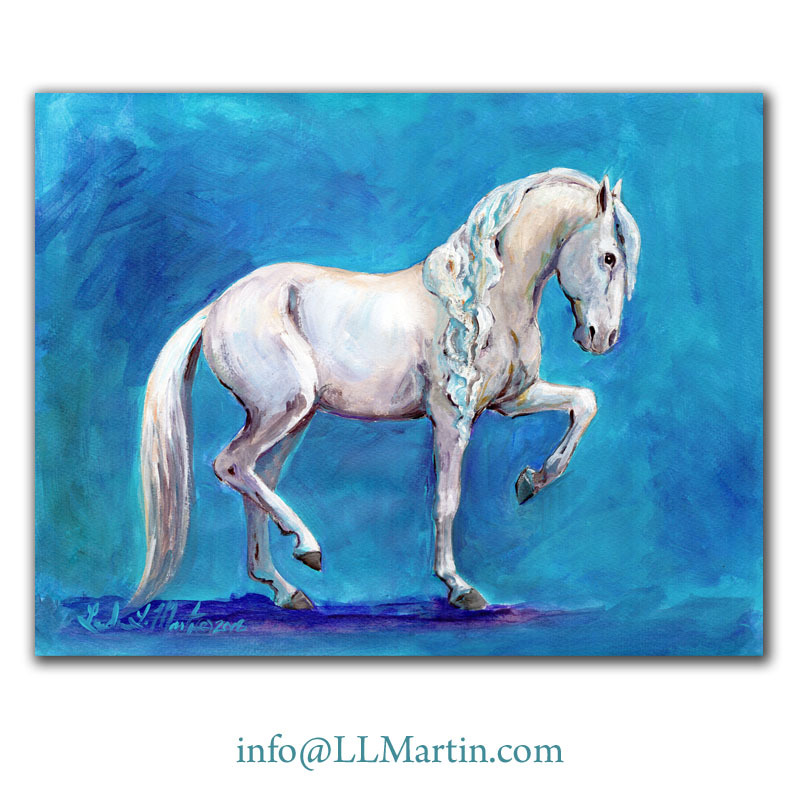 I actually started out painting with the turquoise color and was working on white horses. Then I moved to landscapes. 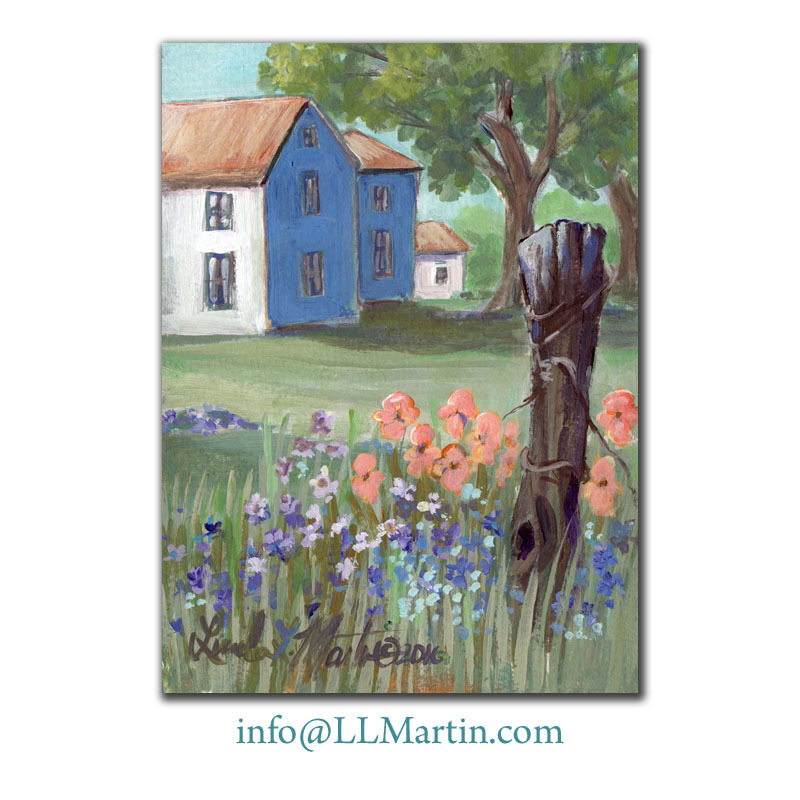 The experiment became more practical because I knew that the pallet of colors I usually worked with would not suffice for the project I have coming up in which I would have to paint some of the features of my town for an event that is happening this fall. Earthy I understand, bold I understand, but frankly after all these years of painting I was becoming a bit bored. And with boredom come mediocrity. An artist tends to die a little in their work when they do not experiment. Experimentation brings new life. The Adventure begins to show up in their. work. Truth is that in a way I was returning to my roots. The roots of drawing from my mind and using my imagination are how I worked years ago.. the comfort of returning to that fantasy world gave me the comfort zone to play with the color. And then I discovered I could make green and red with out making green and red. I do not know where this experimentation will lead but that is part of the fun of the adventure. I started thinking about my own personal collection tips after reading a blog from Invaluable about starting a fine art collection. 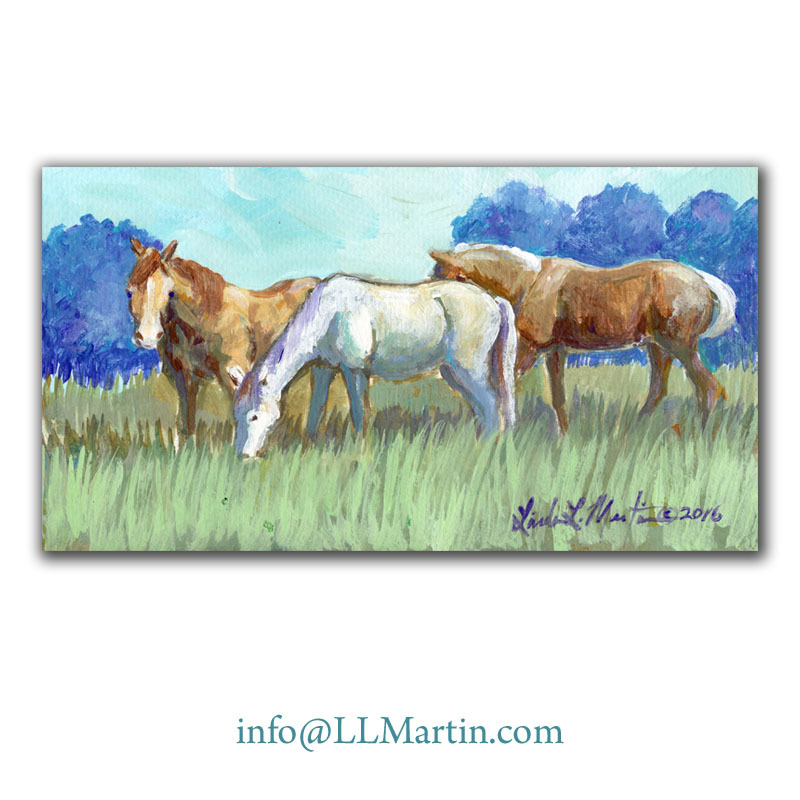 Collecting Art is a great way to express yourself and not only allows you to be creative in your display but it also helps artists, especially those who are little known or emerging to continue painting as you buy their work. 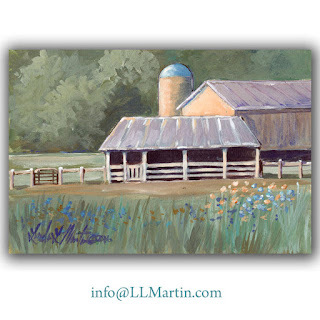 Plus when you collect original works of art you also become part of the story of the art you buy. Here are a few of the general things I look for when I am looking for pieces to add to my own collection. 1.What is my budget like? I don't go madly searching for the perfect piece, until I set a budget for how much I want to spend. I rarely go over that amount. If I stumble upon a piece that I absolutely love that might fit in with my collection then, I wait until I have the amount I need to approach the seller. 2. 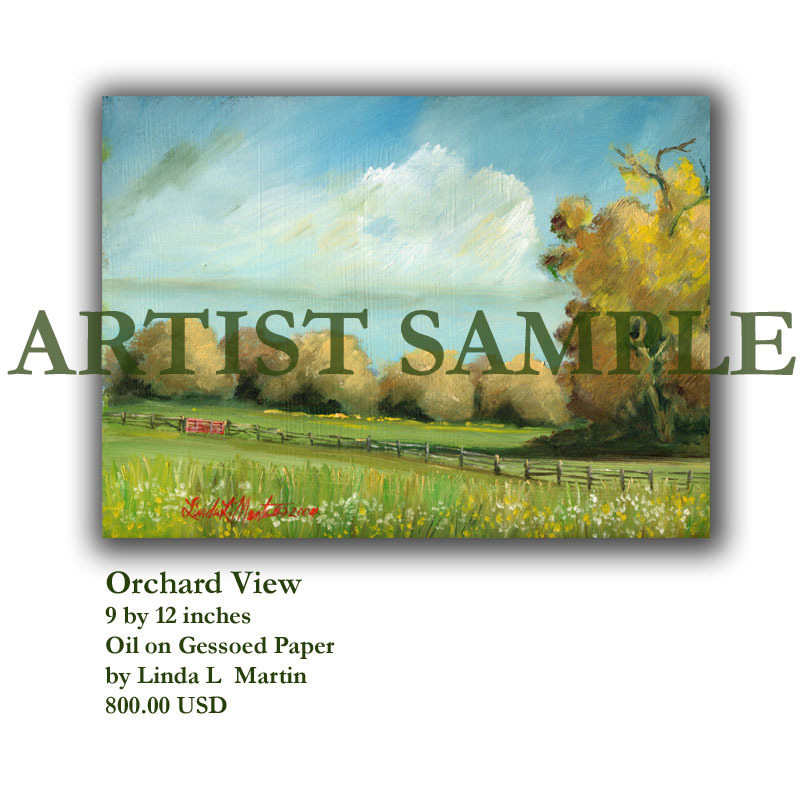 The style and type of art you choose reflects your taste and who you are. Of course you need to buy things in the styles and mediums that you can live with in your setting. You want to choose pieces in colors and sizes that go with what gives you joy and helps add a sense of peace to your living space. If you feel tense and feel stress, perhaps the piece will not fit in your space and will clash with your style. Even though my style is eclectic, the pieces I collect also are in harmony with my own art and work in harmony with them. 3.How will you care for your new piece? And where will you hang or display it? This is more important than you might think. First of all because when you buy a work of art you want to make sure that it is preserved for years to come. While most of us buy because we like the piece, there is a significant potential for the item you purchase to increase in value over time. How it is displayed, stored or handled over time will determine how long it lasts and if it will stay in good condition. Not researching how to care for your art is one of the biggest mistakes that first time collectors make. Incorrect handling can, in fact, destroy the work over time. 4. What is the history of the piece? I want to know who owned it before, where they used or displayed it and where it was made. If I have the honor of buying from the actual artist, I want to know about that person too and what inspired the person to make the art they did. For specific one of a kind works, like paintings or sculptures, I want the provenience to be available and continuous and documented with the piece. 5. Is this work of art part of a series or is it one of a kind? Uniqueness means a lot to me. Even from living artists, I want to know if they have a special piece or a limited amount of work available to the public. I especially love that unique style or unexpected direction that differs from their day to day work. A plus to me is if that piece speaks to me about a part of my personal history either in memories or suggestion that fits in with my other works. What is even better is when I have developed a personal connection to the artist. The painting then becomes even more personal. 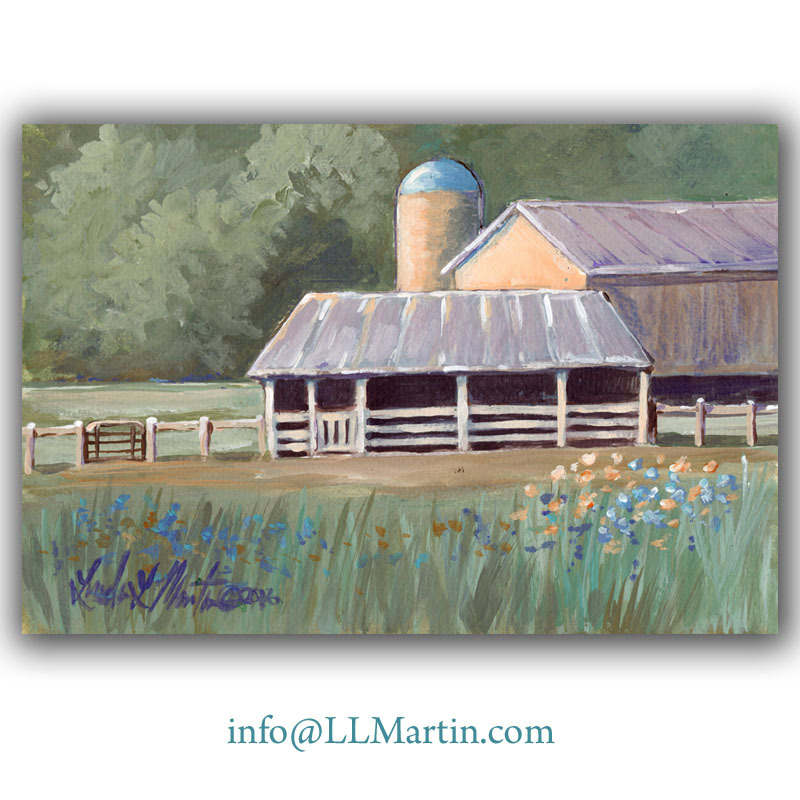 Linda Martin has been a full time artist since 1988. The majority of her works are in graphite, watercolor, or acrylic on paper. 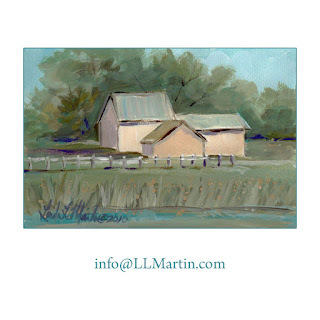 She graduated from Stetson University in 1978 with a BA in Fine Art. 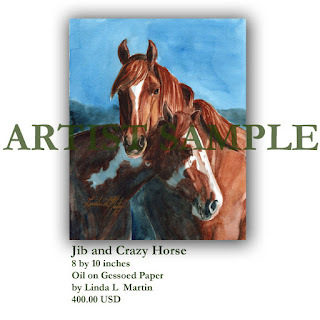 Linda trained horses and taught art for a number of years, before beginning to paint full time. She has specialized in alternative venues to show her work, including online venues, for over 20 years. She currently has works in corporate and private collections in 22 countries and all 50 US States. 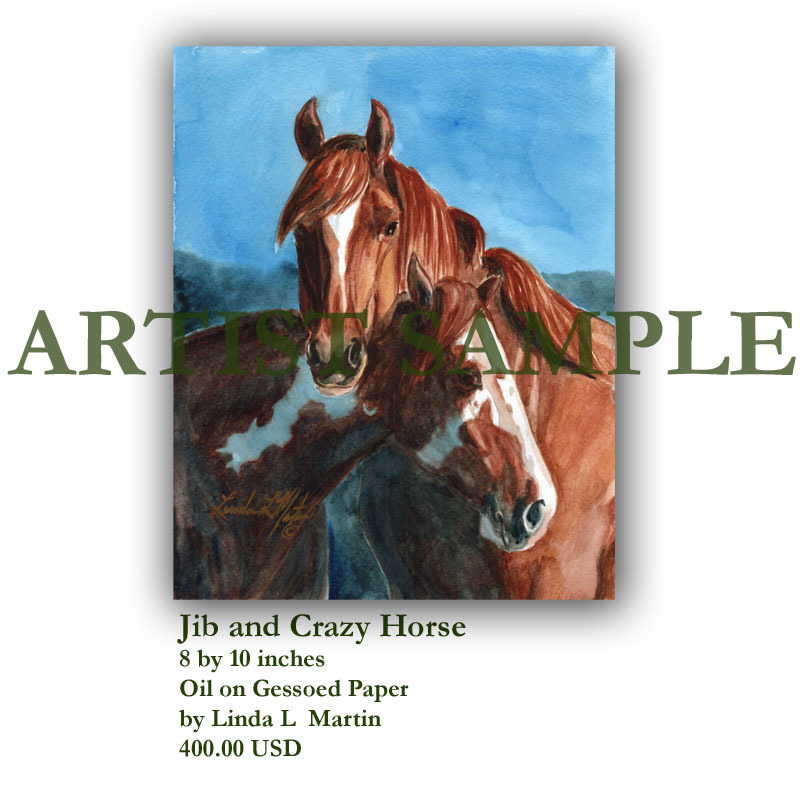 She collects ceramics from the 1930s, 1940s and 1950s that compliment her two dimensional works of horses, Virginia country life and wildlife.